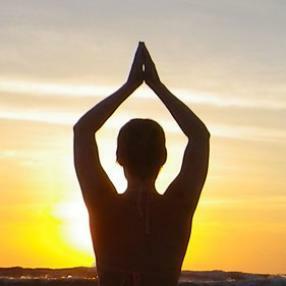 Looking for a gentle and deeply relaxing yoga practice? Join us for guided meditation, pranayama (aka breathing exercises), chants highlighting a chakra each week, inspirational yogic teachings, rejuvenating asanas, and Reiki healing touch (optional). The suspension and buoyancy of the BioCored Equipment is utilized in conjunction with movement tools of pilates and yoga to deliver profound core strengthening and joint stability. Experienced yoga students are finding that they can take their practice to a whole new level by practicing familiar or new poses on a deeper level. Mixed levels, led and Mysore style. Mostly primary series with some second series. New beginners are welcome. Chill flow begins in centering followed by deliberate sequencing of flow and alignment yoga, regulating mood, body, and breath; a perfect complement to refine the asana practice. The class then shifts into balancing the practice with pranayama (breathing practices), restorative yoga (poses near the ground held in a supportive way using props), visualization, meditation, and deep savasana. Calibrate your system in this intimate class designed to offer clarity, vitality, and exploration into the architecture and intricacies of the yoga practice.